Daughter Of CONVICTED Jihadi Mastermind Received Sympathy, Presents, From American-Jewish Fantasist. Say What?? REGARDLESS of the death and destruction continuously waged by militant Islamic jihadists upon infidels, be they Jews, Christians or any minority in between, one thing remains static: leftist apologists, aka fantasists, will grovel at the feet of Allah’s Muslim Terrorists, bend over, and lend them cover. And it matters not a whit how many times, how many ways, it has proven to be wildly dangerous, never mind wholly immoral, to do so. Effectively, getting the mentally besieged to reverse course, to volte face, is akin to spitting in the wind. It ain’t gonna happen. BUT that doesn’t mean that those of us who know the score, and have wide-ranging megaphones to boot, shouldn’t execute our own due diligence. Alas, one such requisite mandate revolves around outing the perpetrators – the jihadists and their enablers!! NOW, it is also recognized that a smattering of their fig-leafs are simply clueless.This site gets that. But no matter, they too must be brought to heel. After all, they endanger all of us. IN this regard, a particular apologist, Lenny, ala his Muslima, enters the fray. 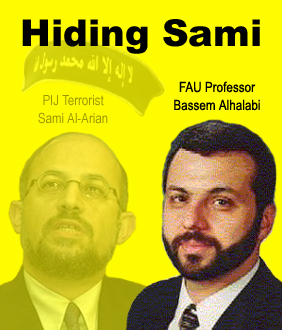 Indeed, she is the spawn of a master terrorist, Florida’s very own, Sami al-Arian! In a time of heightened terrorism and political tension people are looking for stories of compassion and acts of kindness that will bring joy to their day. It initially appeared they found one when a Jewish man at a Barnes & Noble went up to a Muslim woman and her kids “and conveyed a heartfelt apology for the general anti-Muslim sentiment in our society today. He had tears in his eyes and told me [Muslim woman] that it must be so hard to turn on the news, that he feels awful about the bigotry my kids might one day experience, and that as a Jewish man whose parents didn’t speak any English growing up, he personally understands what it feels like to be rejected and discriminated against,” stated the woman on Facebook. The Jerusalem Post also reports that the Jewish man, named Lenny, purchased gifts for the woman’s girls at the store. However, the smiling mother has a darker side. While studying at the University of South Florida, Leena served as Vice President of the radical Muslim Students Association. She also maintained a blog during this period, ranting against the State of Israel, Zionism, and Holocaust education. “I am just so tired of reading blatantly biased writings on the Holocaust… [T]he thought of sitting through that nauseating three-hour class makes me want to put a bullet through my head. I am sick of the likes of propagandists such as Elie Wiesel, Rubenstein, and others who continue to exploit the tragedy of the Holocaust to justify the continued, unjustifiable suffering of the Palestinians,” Leena wrote in 2004. She’s not quite the sweet mother portrayed in the news, right? The whole Barnes & Noble incident is indicative of how the media and academia pumps the ‘Islamophobia’ narrative so much that it guilt trips people like Lenny into apologizing for something that is largely fictionalized. Worse yet, in this instance Lenny apologized to an Israel bashing, Islamist with terrorist sympathies (unbeknown to him). It’s Islamists who are the ones deceptively pushing this ‘Islamophobia’ narrative to the media as a tactic that not only switches the blame from the perpetrator (radical Islam) to the victim (general public), but also gives Islam a special protected status in order to stifle criticism of Islamism. Hopefully the incident had a positive impact in making Leena feel ashamed of her past anti-Semitic attitudes and comments, but it likely just confirmed that her activism is working. READERS, where is a barf bag when you need one? Where is a whooping paddle to smack the likes of said “sympathizer” upside the noggin? 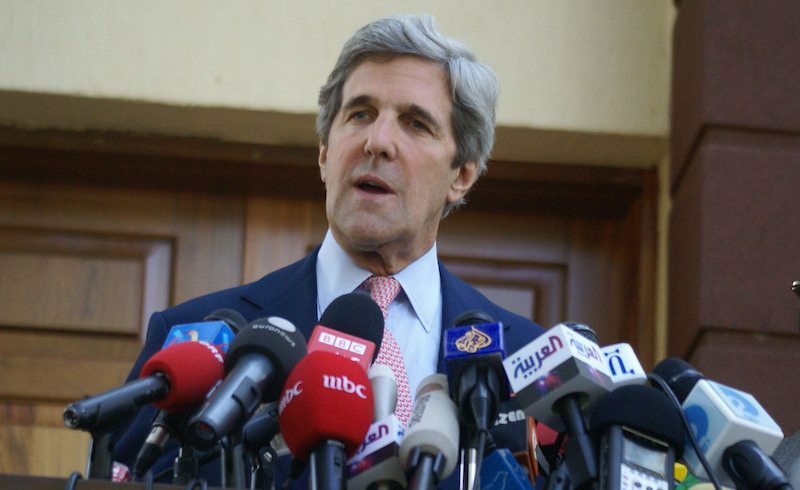 Besides, where is his (and like-minded useful idiots) compassion for all the victims of Islamic jihadi terror? Huh? Duh? Sigh. BUT since it will never come to pass that this (American-Israel) investigative journalist will lend cover to those who sow death and destruction upon innocents, it is equally the case when it comes to their apologist enablers. In fact, even more so when it comes to fellow brethren, Jewish fantasists — those who cannot separate their leftist/liberal/multicultural orthodoxy from reality at hand – must remain front and center. Alas, how dare they drag us down to the depths of hell. Therefore, many of them have been outed at this site. You know who you are, and so do millions of others. STILL yet, if one requires a particularly egregious rendering of said enabling ala its knock-on effects, look no further than to one (of the many) mouthpiece forCAIR, you know, the Muslim Brotherhood Mafia’s propaganda arm. Goebbels-like. IN point of fact, let’s just segue to a pithy rebuttal lobbed in this direction from philly.com, and it was in response to a smack down given at this site (Oct. 2013) to a so-called Jew perched at CAIR’s Philadelphia (Philly) branch. Oh yeah. MOST tellingly, the same mental besiegement which afflicts the aforementioned Jew-boy at Philly’s CAIR caused clueless, feckless and dopey Lenny – while at a Barnes & Noble in the Bay State – to grovel at the feet of a mobbed up (smirking) jihadi. Oh dear. PAR for the mentally besieged course, little did he anticipate that said hijabi clad Muslima was more likely – than not – terror connected, even if not to a top dog terrorist! But as luck would have it, she is not only mobbed up, but an up and coming jihadi in her own right! Like father, like daughter. YES, she is the progeny of a terrorist mastermind, the American head of PIJ (Palestinian Islamic Jihad). Most appallingly, the spectacle of Lenny groveling at her feet is migraine-inducing. Can you imagine? HEY Lenny, and all the rest of their enablers: what do you have to say for yourselves?? Inquiring minds want to know. Do tell.